planners Archives - Wylie & Co. Some of us are lucky enough to say that we love our jobs, others may not be so excited to get up and go to work every morning. Whichever category that you fall into, there’s probably a few things that make your days a little bit more joyful; things that help make the hours fly by while you’re getting sh*t done. Here are a some of our favorite things that help us get through the days. 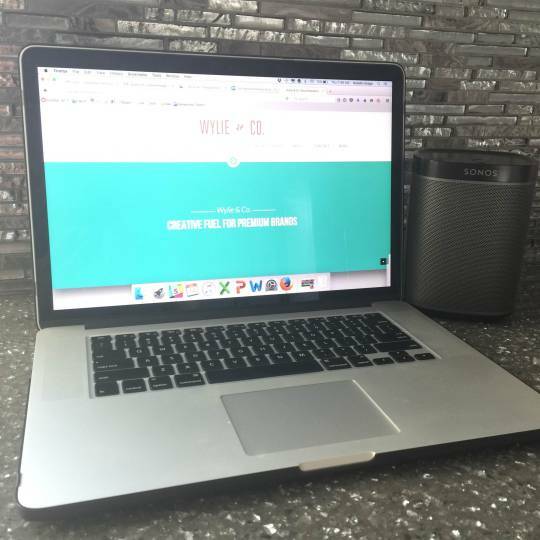 Music is a must at both of our desks, and we both love our SONOS smart speakers. You can stream all your favorite music with one simple app, and the sound is crystal clear. We’ve told you about our love for Slack many, many times. We’ve shared tips and tricks and how to have fun with Slack. Slack is our main hub for team communication. We may not speak to each other every day on the phone, but we “talk” in Slack all day long. Could we do our jobs without Slack? Probably. Would we have as much fun doing our job without Slack? Nope. 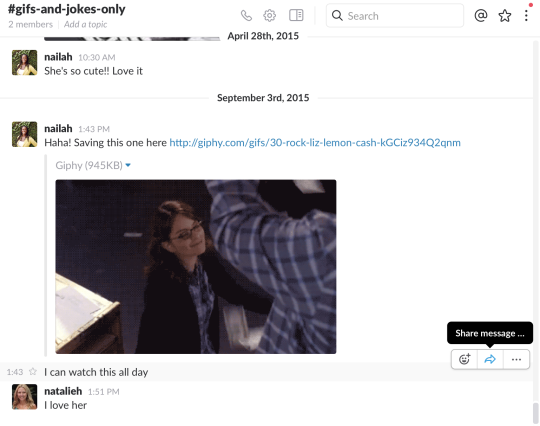 Here’s a screenshot of one of my favorite Slack channels, our Gifs and Jokes channel. It’s a simple way to share a smile during extremely busy days or when one of us needs a laugh. Both Nailah and I are #planneraddicts. We’re old school and love our desktop planners! I live and die by my Emily Ley Simplified Planner, while Nailah has a couple of faves that she uses to keep herself super organized. Look how gorgeous they make our desks look! Who loves tea? We do! Specifically Oprah’s Chai Tea by Teavana. 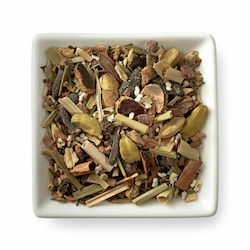 It’s light with flavors of cinnamon, ginger, cardamom and cloves, and hints of lemongrass and basil. It’s a tea you can sip anytime of the day. If you hit an afternoon slump, make yourself a Dirty Chai by adding a shot of espresso to your tea for a little caffeine boost! And you can’t sip tea all day without sipping it out of a cool mug! Nailah prefers to be happy, while I like to show off my love for hashtags. Long Post It Notes with lines on them. Stripes and polka dots on Kate Spade folders. A pretty set of pens. 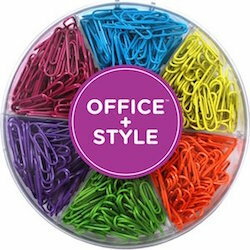 Colorful paper clips that make you happy to pick up. We have a love for office supplies that are both useful and cheerful. I mean if you have to sit behind a desk all day, you might as well have fun doing it! What things do you love that help you get sh*t done?